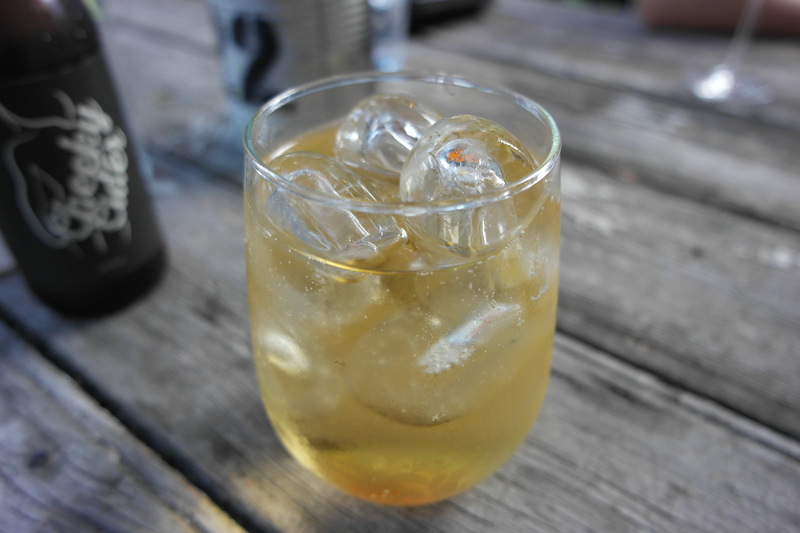 What’s better than crisp apple cider, great company, wood fired pizza and a garden in which to enjoy all of this? Pretty much nothing. 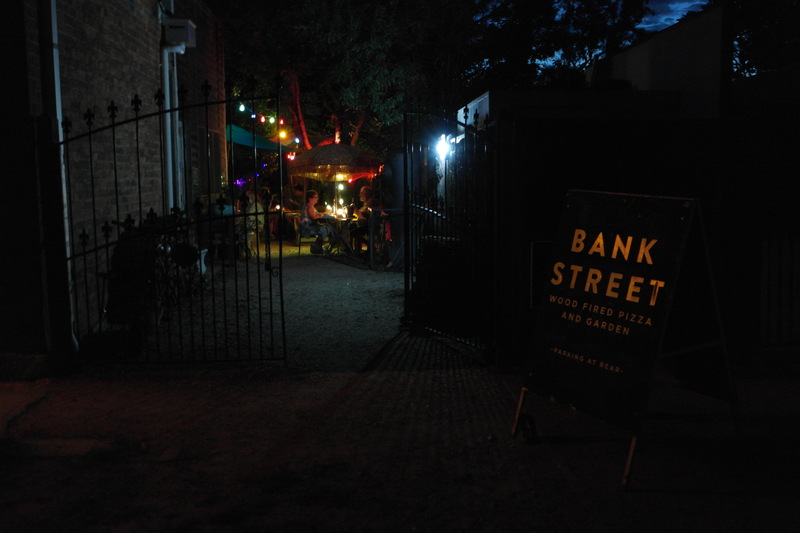 That’s why it’s absolutely worth the hour and a half drive from Melbourne to Avenel to get to Bank Street Pizza. I went on Saturday with my cousin Sebastian and his girlfriend Alannah who are visiting from Canada at the moment. Avenel is a half hour country drive from where my mum lives. We made a booking which was somehow lost but luckily there was a table for us anyway. 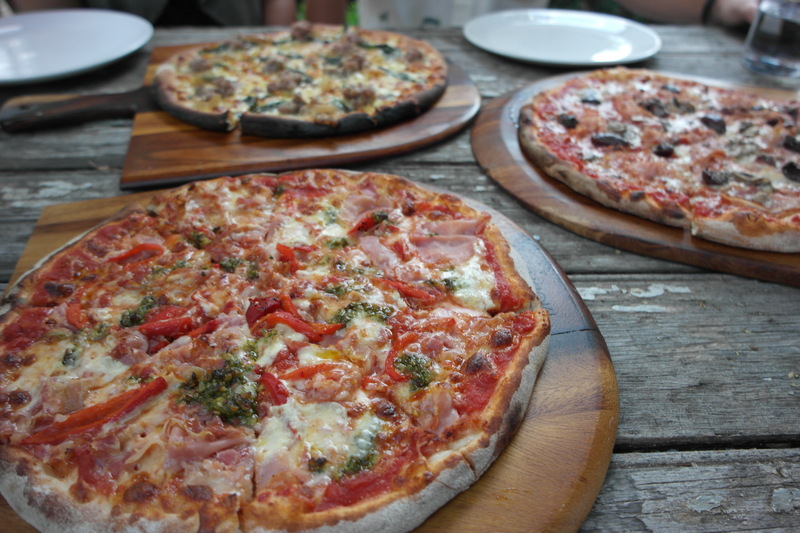 We ordered drinks and set about trying to choose from the outrageously good looking list of pizzas on the menu. 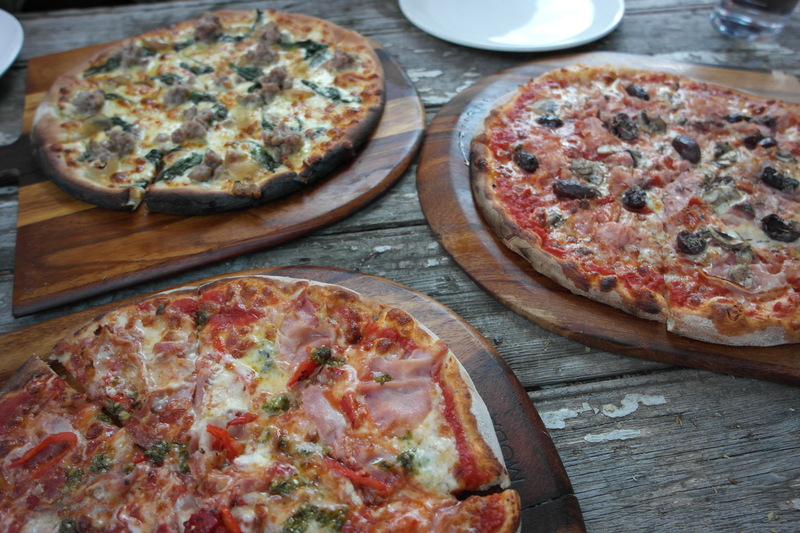 We somehow narrowed it down to three; the Scotty with pork and fennel sausage, the Faz and Cal’s Capricciosa. 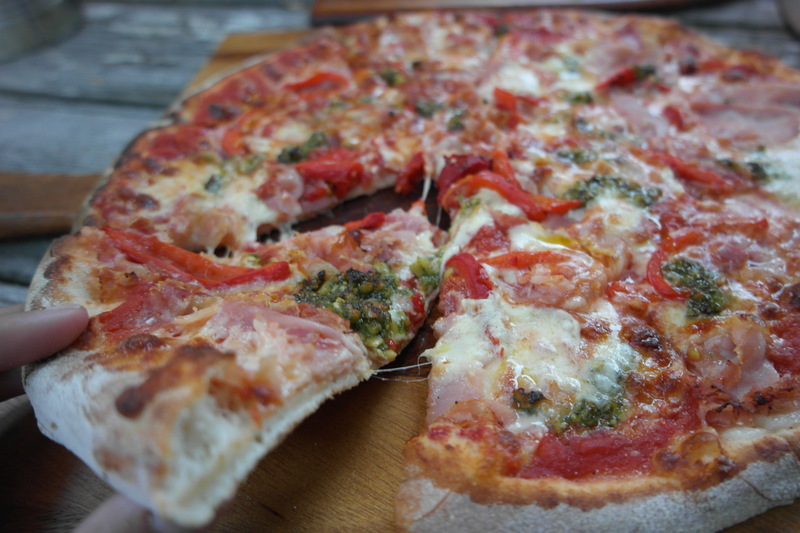 It was the best pizza I’d had in a long time; super fresh local ingredients combined in interesting flavour combinations. 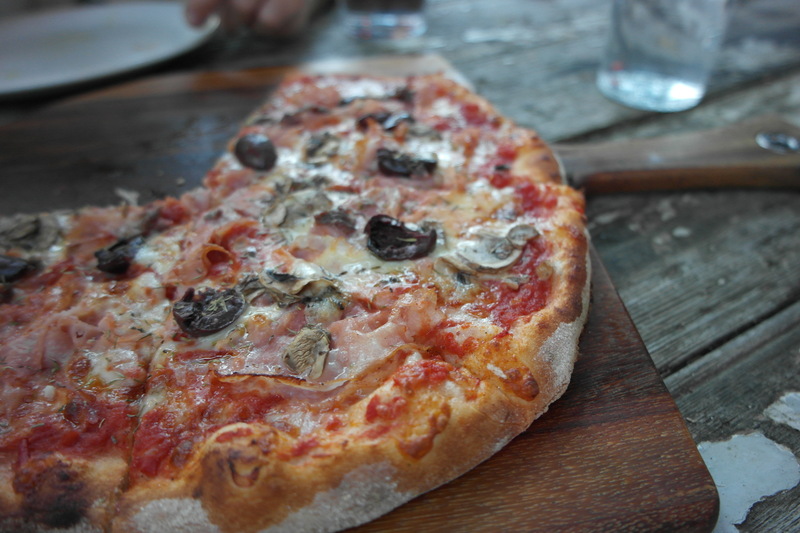 Hard to pick a favourite but I can’t go past a pizza with olives and anchovies. I once heard anchovies described as ‘salty eyelashes’, so accurate! By dessert time the sun had well and truly set. 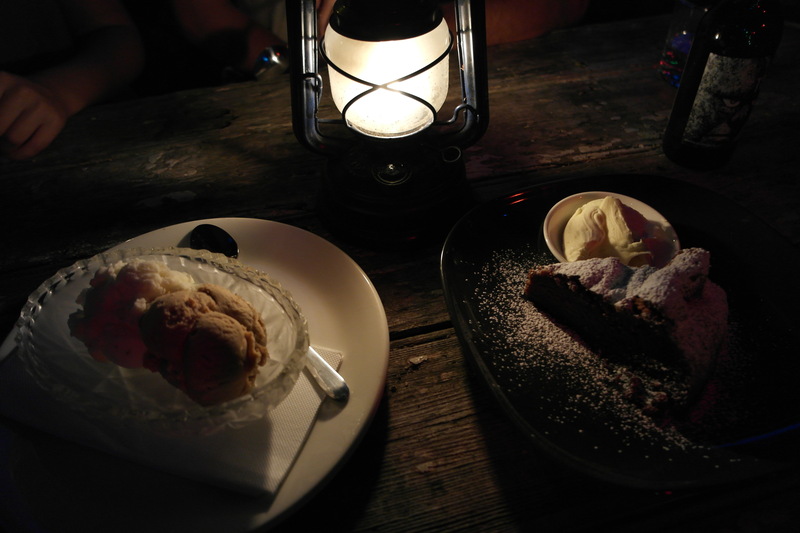 We enjoyed Jock’s ice cream; coffee and coconut lime as well as a slice of chocolate fudge cake in the lantern light. Amazing food. Book ahead if you’re going, it’s wildly popular and only open on weekends. 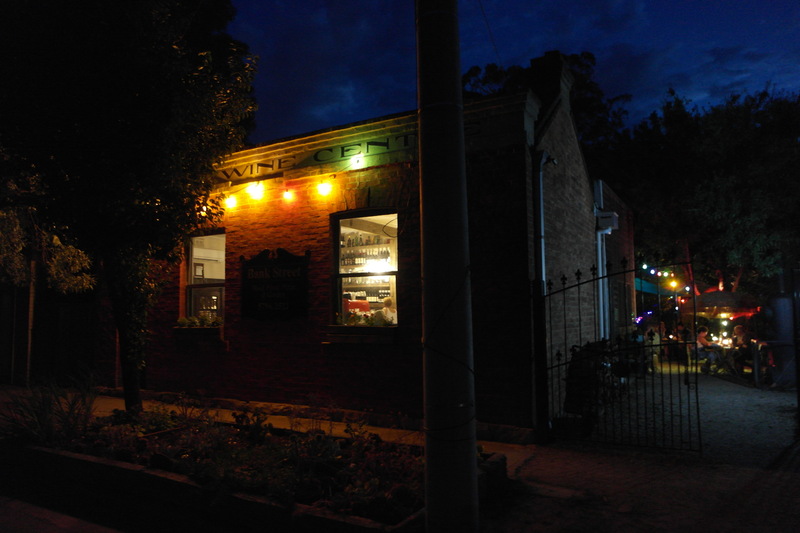 Check out the menu here. 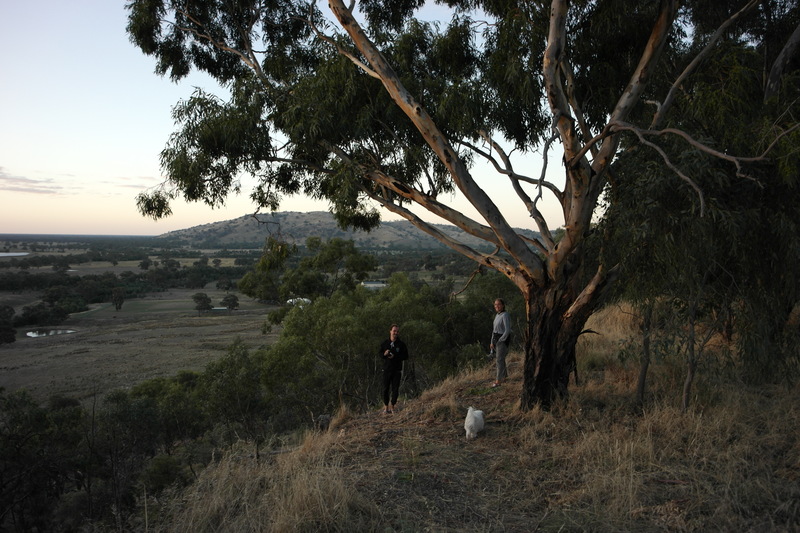 The next evening I took the Canadians out looking for ‘roos. 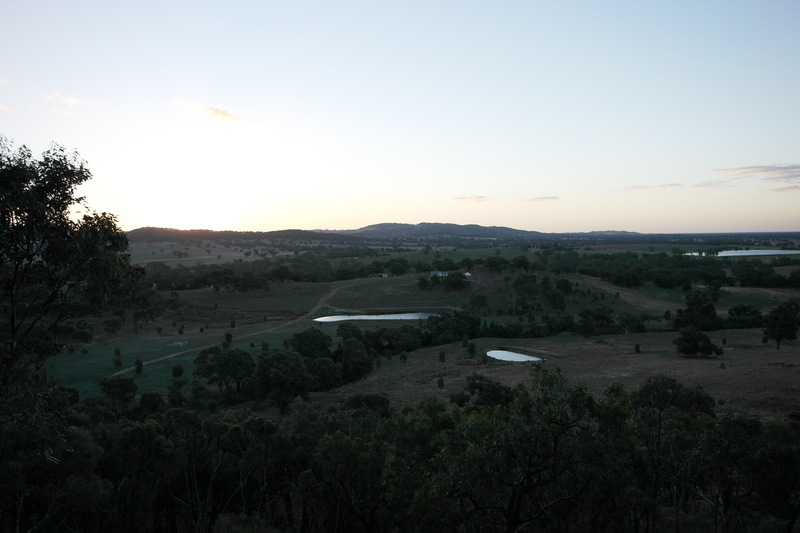 We headed up into the Strathbogie Ranges around dusk. Dusk and dawn are prime time for hitting kangaroos with your car. I drove very slowly and carefully. 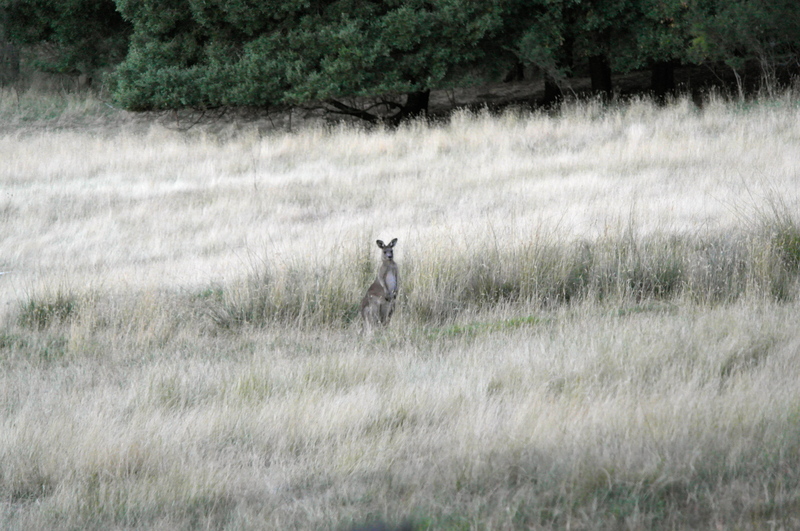 It wasn’t long before we spotted a pack of kangroos bouncing along. The way they slip through fences is masterful. Remember that time I hung out with kangaroos on the beach? Good times. 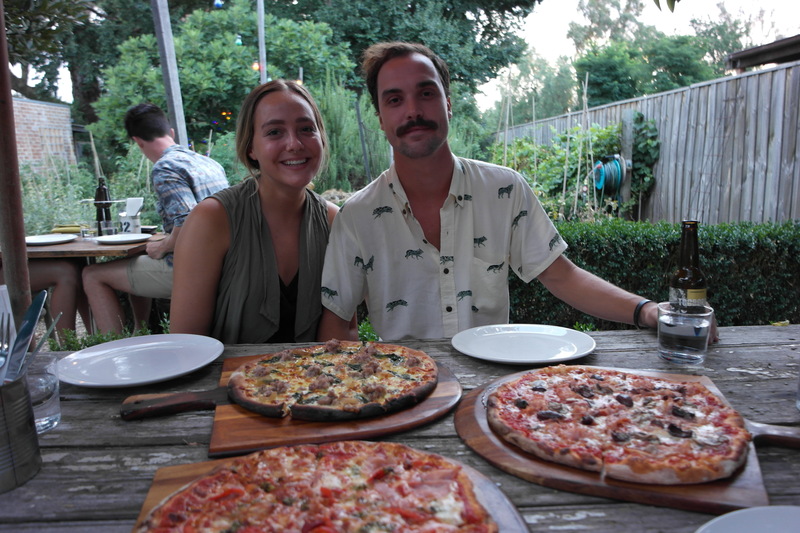 This entry was posted in Food and tagged Country Victoria, Euroa, Food, Pizza. Bookmark the permalink.